Lead And Nickel Free!! 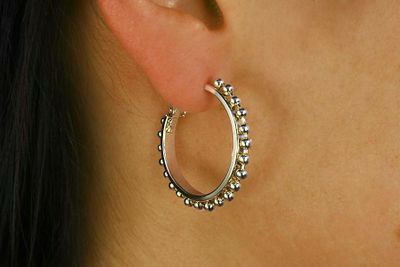 2 Size Gold Tone Earring Hoop Assortment. Both Styles Are Accented With Tiny Gold Tone Balls. Earring 1 Measures: 1 1/2"
Scroll Down To See View Of Other Earring In Assortment.